A Pedodontist is a dental specialist who is specially trained to treat children up to the age of about 10 to 12 years. There are certain differences between treatments of milk teeth and permanent teeth. Children with dental pain may be unable to concentrate in school. A healthy mouth is more attractive, giving children confidence in their appearance. 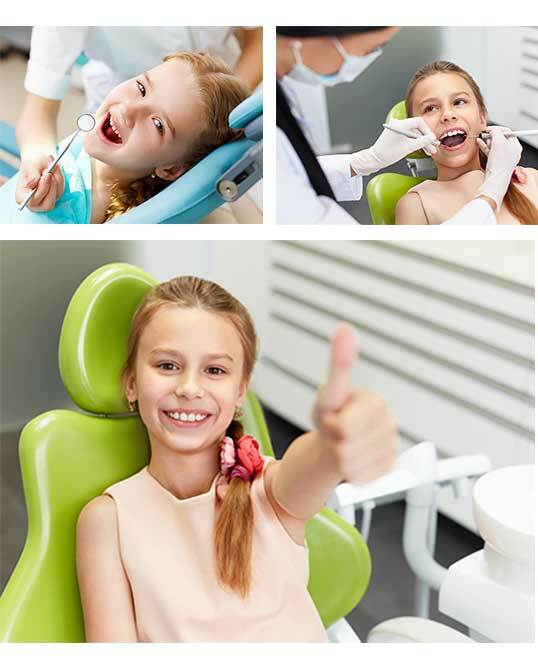 They are specially trained in understanding a child’s behavior and how to best manage a child in the dental chair. The clinic has a full time dedicated and the finest Pedodontist in Pune and also two consultant Pedodontists. They are highly experienced and very efficient in managing pediatric patients. Complex procedures under GA are carried out at the dept at Ruby Hall Clinic. All kinds of treatment like a root canal for milk teeth, fillings, pit and fissure sealants, extractions, space maintainers, SS crowns, etc. are done by them. Prophylactic procedures such as Fluoride/Tooth Mousse application is quite often done for children. The doctors also coordinate with the Orthodontic team if any growth/functional discrepancy is noted or if a habit breaking appliance is needed. The cheerful staff and doctors try to keep a friendly environment for the children. There is also a play area for children who come for treatment or accompanying other patients at the KP clinic.